Turn-key family home located in the desirable Chatelain Estates community. Found on a quiet single loaded street, this luxurious 4 bedroom home with large downstair ensuite bedroom is ready for its new owners. Views of panoramic hills and city lights make this a must see. Beautiful marble flooring tastefully extends from the opening foyer on through the kitchen, living room and family room. This inviting open floorplan is perfect for entertaining friends and family. Large vaulted ceilings bring in great natural light and highlight the exquisite finishes found throughout. No detail was spared with the remodeled kitchen. Featuring quartz counter tops, new backsplash tile, free hanging island hood, cooktop stove and microwave/oven combo. Some notable features of the home include double entry doors, new LED recessed lighting, tankless water heater, water softener, zoned A/C Units plus a 3 car garage with epoxied floor. The private backyard features a built-in BBQ with granite counter tops, a gas fire place and ample entertaining space. This home is perfectly situated for the outdoor lover. You will be walking distance from the newly renovated Crown Valley Park and close to many local hikes and trails. 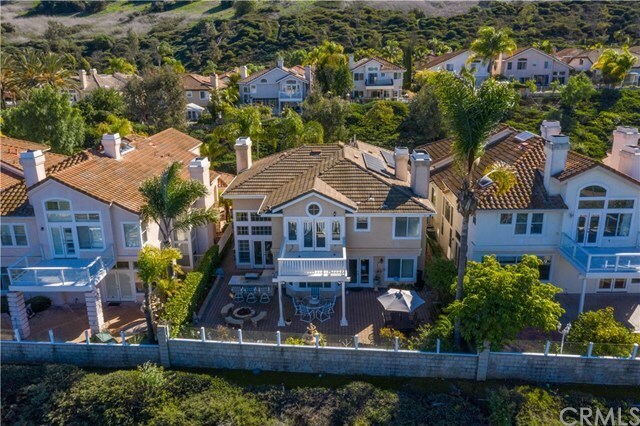 To top it off the home is surrounded by award winning schools, just a short drive to Dana Point Harbor, and an easy commute to many of Orange County's best beaches. This home has it all.